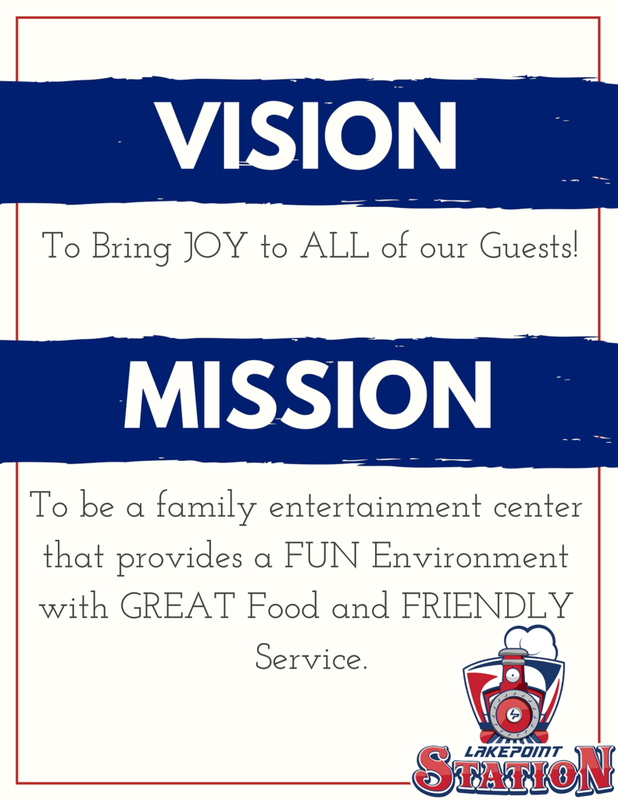 Your Destination for Family Fun! 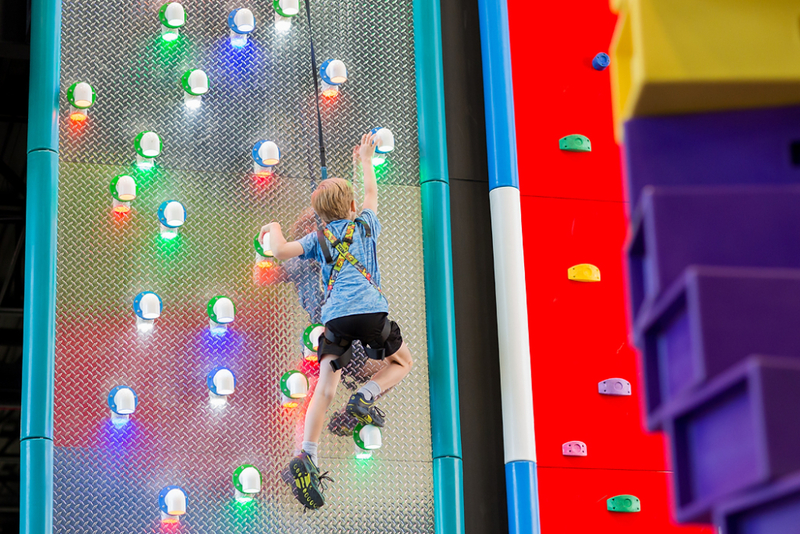 Soar to new heights in our 28-foot high rock climbing area. Just don’t forget to sign a consent form first! 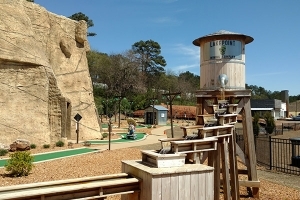 Putt through history on our Outdoor courses or go deep into Miner’s Mountain and golf via blacklight! 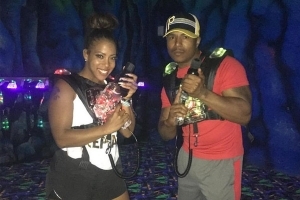 Gather your friends and family and defend your home base with state of the art Laser Tag system. Defend the planet from Space Invaders. Watch out for the Walking Dead! 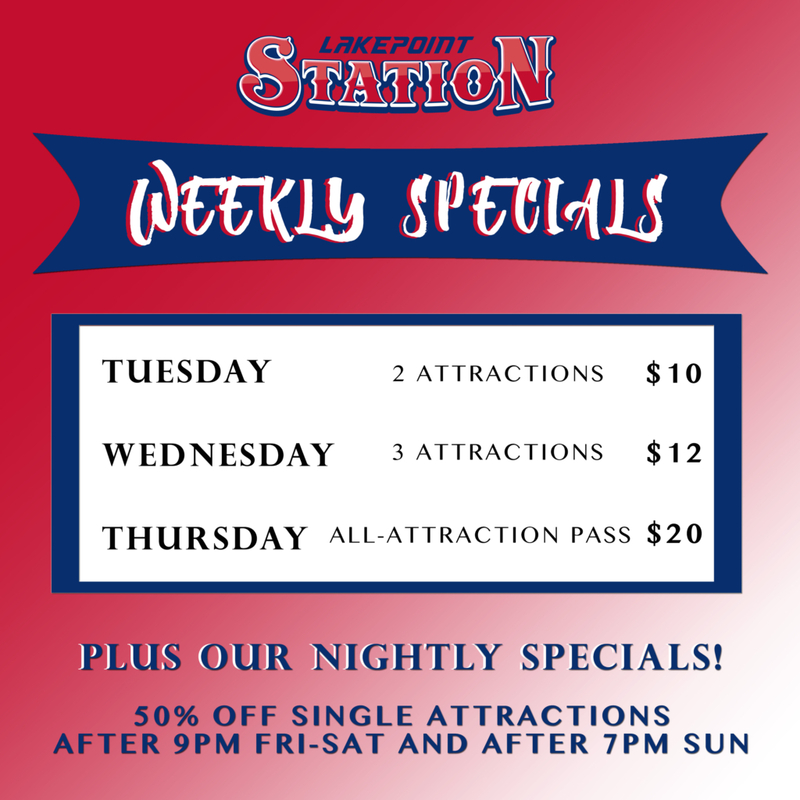 Or enjoy any of our more than 40+ games. Create memories you’ll treasure as young and old alike enjoy mining for precious and semi-precious gems. 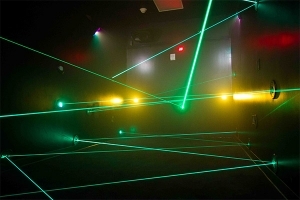 Tap into your inner spy and have an aMAZING time trying to get out of our laser and mirror mazes. 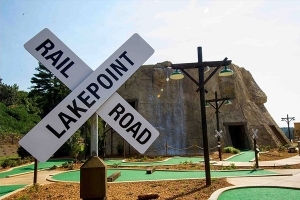 Lakepoint Station is your destination for family fun! 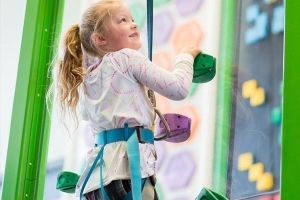 Challenge your family to scale to new heights on 17 different climbing challenges soaring to an amazing 28 feet in the state’s tallest indoor rock climbing facility, or join forces in battle and defend your family honor in our state of the art Laser Tag. Take the little ones deep in the mountain to mine precious gems but be careful not to get lost in Miner Jim’s Mirror Maze! 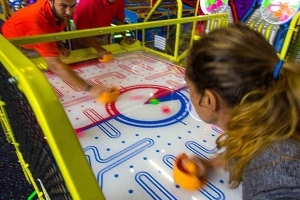 Regroup to defend the planet from Space Invaders or the Walking Dead in our arcade. Refuel at St. Angelo’s Pizza or satisfy that sweet tooth at Yogli Mogli. So, what are you waiting for? All aboard for a great time! Then get onboard the birthday train for a fun-filled, all-inclusive birthday celebration. Just give us the date, time, and the number of kids, and we’ll take care of everything…except for the presents! It’s hard to play on an empty stomach! 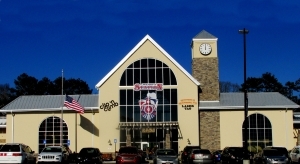 Refresh and refuel at the awarding winning St. Angelo’s Pizza. Or indulge your sweet tooth at Yogli Mogli.